I had some time off from July last year, and am now back in the office supporting people to heal their relationship with food. If you have an Eating Disorder, disordered eating, or just feeling pretty stressed and anxious about eating and your body, I’d love to help! This entry was posted in Appointments, Body image, Eating disorders, Mindful eating, Mindfulness, Non diet approach on April 14, 2019 by eatinpeacenutritionist. A common theme throughout each of my sessions with clients today was self compassion. 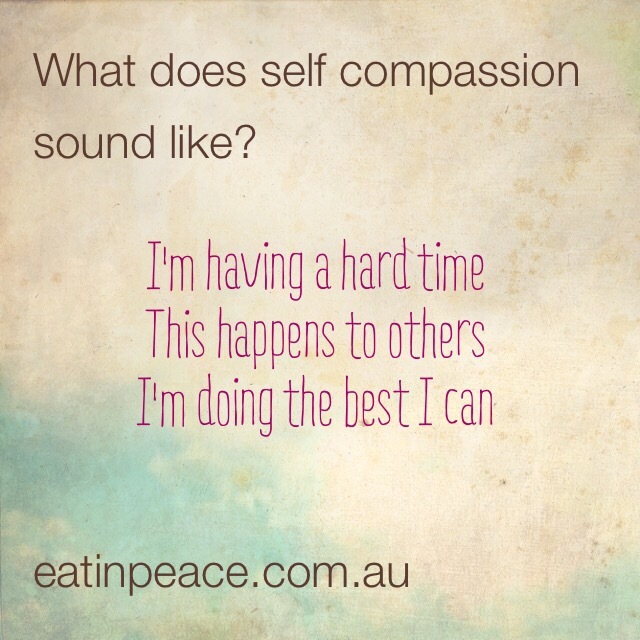 Expressing self compassion encourages you to nurture and nourish yourself in a more healthful way. 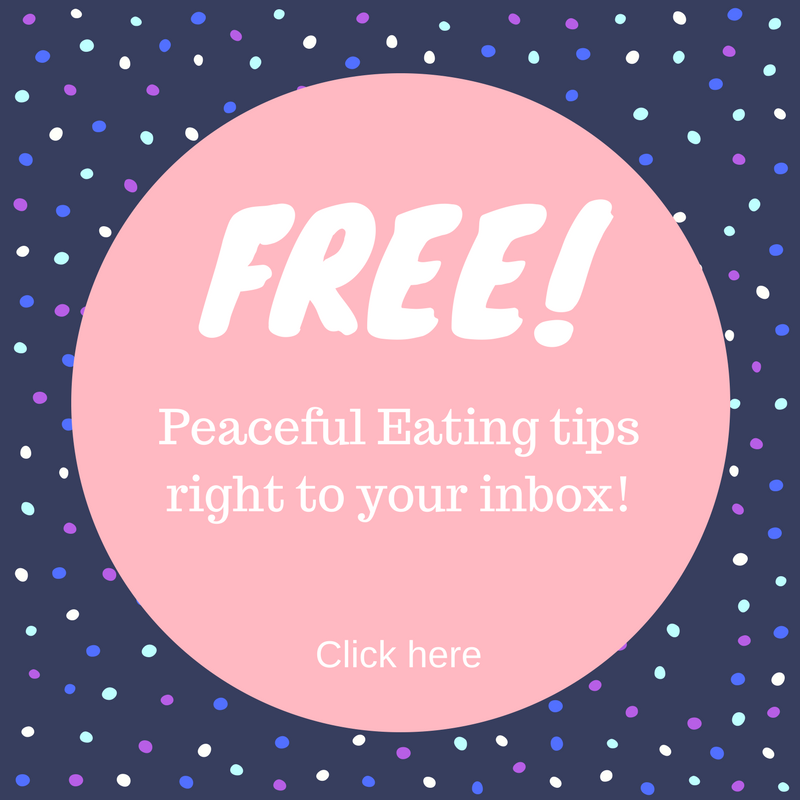 This entry was posted in Body image, Eating disorders, Mindfulness, Non diet approach, Self compassion, Uncategorized on March 19, 2016 by eatinpeacenutritionist. Body Image and Eating Disorder Awareness Week aims to raise awareness of these life threatening conditions and help reduce the stigma associated with eating disorders. There is an enormous lack of knowledge in Australia surrounding negative body image and eating disorders. The reality is that they are extremely common, affecting an increasing number of people each year. In fact, almost 1 in 20 Australians are thought to have an eating disorder. They are not a lifestyle choice, they are not about food and you cannot tell just by looking at someone if they are suffering. Negative body image is a risk factor for developing an eating disorder. Schools can have a role to play in prevention by implementing a whole school approach to body dissatisfaction, eating and wellbeing. We have long known that eating disorder risk prevention programs in schools (both primary and secondary) can have an impact on children’s behaviour and attitudes. However, it is also recognised that single information sessions (not backed up by changes in the school environment) have little long-term impact on either body image, self-esteem or eating behaviours (Eaing Disorders Vic). Contact Nicole to find out more. If you need help for yourself, a family member or friend, you can call 1800 ED HOPE / 1800 33 4673 (Mon-Fri 8am – 9pm) or visit http://thebutterflyfoundation.org.au/national-edhope-line/ for web support. If in crisis call Lifeline 13 11 14 (24 hrs). This entry was posted in Body image, Eating disorders, Schools on September 4, 2014 by eatinpeacenutritionist. “You’re not you when you’re hungry…” – well that is true! This entry was posted in Body image, No Diet Day, Non diet approach on May 10, 2014 by eatinpeacenutritionist. Welcome! I’m Nicole, an Accredited Practising a Dietitian (APD) and Nutritionist (AN). Although my professional title has the word “diet” in it, it’s a bit of a deceptive term, as I don’t “prescribe diets”… My approach is non prescriptive, non restrictive, and non judgemental. I assist people to improve their relationship with food, whether it be bingeing, restriction, or generally stuck in a “dieting cycle”. The way people eat are influenced by so many things, and we help you work through these to achieve your health and well being goals. The media has saturated society with an image of what “perfect” health and wellbeing looks like, and what the “perfect” body type is. I can help you work through any thoughts and feelings you may have about your own body and help you to feel more comfortable in your own skin. Often, I will work with other professionals such as psychologists or GPs to assist. I can also help you to eat in way which can assist in conditions such as mental illness, gastrointestinal symptoms, high cholesterol, high blood pressure and Type 2 diabetes. Pregnant, breast feeding or post natal? We can chat about how you can reach your health and well being goals. This entry was posted in Body image, Non diet approach on March 2, 2014 by eatinpeacenutritionist.